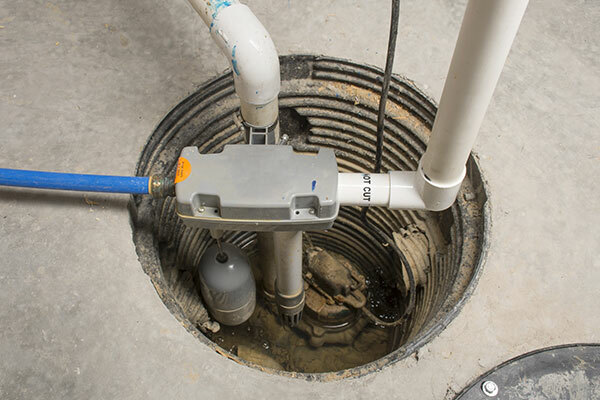 If your home has a sump pump, it is typically out of sight and out of mind. 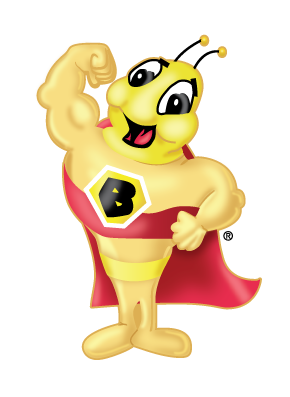 Most are located back in the far corner of your basement quietly doing their job keeping your basement dry. As long as the sump pump works, everything is fine. But when the sump pump fails, life can get ugly. I have experienced two sump pump failures in my own home both resulting in a flooded basement. The first occurred due to a power outage during a raging thunderstorm. My pump was working fine until the power went out. Once the power was off, however, it only took about 15 minutes before water breached the top of the sump and started flowing onto the floor of my finished basement. Fortunately for me, I was home at the time and spent the next several hours bailing buckets of water out of the sump and pouring them outside. I wasn’t able to prevent the water from soaking my carpet but I was able to keep the water from ruining walls and furniture. The second time, I wasn’t so fortunate. Again, it was another raging thunderstorm, but this time I wasn’t home to do damage control. This second time, the power did not got out but a piece of packing strap had fallen into the open sump and wrapped itself around the sump’s impellor thereby rendering the pump useless. By the time I arrived home, I had water over two inches deep standing in my basement. I lost many books, some furniture, drywall and other possessions this time. The worst part was that insurance did not cover my loss as my policy did not cover sump pump failure or ground water flooding the home. These two experiences helped me to realize the importance and value of a quality sump system. If I have been better prepared, both of my unfortunate basement floods could have been avoided. My home, like most homes with a basement sump pump, only had a single, AC powered pump installed. When that single pump failed due to power loss then a fouled impellor, there was no back-up system installed to prevent my basement from flooding. I’ve since learned that there are many back up options available that could have prevented my basement from becoming a swimming pool. Here is a little information on four of the most common back-up configuration used for sump pumps today. POWER INVERTER ATTACHED TO A DEEP CYCLE BATTERY. In this configuration, a power inverter that converts AC power to DC and vice versa is connected to the primary AC pump and one or more deep cycle marine batteries. While AC power is present the sump pump runs off that power and the inverter converts the AC to DC and keeps the battery charged. If the AC power fails, as in a power outage, the inverter pulls DC power from the battery, converts it to AC power and uses that power to keep the pump running for as long as the battery lasts. This back-up configuration is great for short power outages but doesn’t provide any back-up should the primary pump fail. TWO AC PUMPS WITH A POWER INVERTER ATTACHED TO A DEEP CYCLE BATTERY. The second back up configuration is identical to the first, but also adds a secondary AC sump pump. One pump is always powered by AC voltage from the wall. The second pump is connected to the power inverter. In this configuration, if one pump fails, the other continues to pump. If AC power is lost, one pump continues to run on DC power. This configuration is one of the best back-up methods available for a reasonable cost. AC PUMP WITH DC BATTERY BACK UP PUMP. The third configuration utilizes a primary AC pump, and back-up DC pump, a deep cycle battery and a battery charger. This configuration provides normal pumping capacity as long a AC power is present and the primary pump is functional. If AC power is lost, or if the primary pump fails, the DC pump will run for as long as the battery lasts. This is a sound back-up system with one exception. Most DC pumps are rated for a significantly less flow rate than the AC primary pump. If the water coming into the sump is greater than the capacity of the DC pump, flooding could occur. AC PUMP WITH WATER POWERED BACK UP PUMP. This last configuration consists of the typical AC primary pump with an additional water powered back-up pump installed in the sump. Water powered pumps are just as the name implies, powered by water. No electricity is required. The pump uses your home’s pressurized water to siphon water out of the sump and discharge it outside if the main pump fails for any reason. Since a home’s water pressure is usually maintained during a power outage, these water powered pumps will usually provide some back-up pump when power is lost. Three big draw backs to a water powered back-up pump are: they use a gallon or more of your water for every two gallons they pump; they usually pump significantly less water than a primary pump; and, in many municipalities, they require an expensive RPZ valve to be installed to prevent contamination of the drinking water. The old adage says “an ounce of prevention is worth a pound of cure”. Had I known about the pitfalls of a single sump pump system and installed a sufficient back-up system prior to my two pump failures, I could have saved myself a lot of money, headaches, and frustration. Now I know better and made the investment in a sound back-up system. If you would like to learn more about primary and back-up sump pumps or would like a quote on a back-up system, call us at 502-968-4444.